I recently (read: start of September) read a Facebook status which has inspired me more than any motivational quote, post, photograph, video, meme…you name it. It allowed me to become hyper aware of how often I personally fall into the trap of waiting for my motivation to come back from war so I can get my work done, especially when it is things which I do not particularly enjoy or can muster up excitement for, things I will not commit to without a push. This one Facebook post from a Habib University Junior set my life on track, and I am so grateful that it was something I came across at the start of the semester, when I was still thinking about how I could get myself motivated enough to work on that first reflection paper. you just got to get to the grinding. So how does the relationship between feelings and action become so big and heavy that we make it the foundation of our lives? When I have a reflection paper due, why do I wait until I feel like doing it, until I am fully motivated, rather than actively working on it whenever I get time so that my final draft is, you know, not something haphazard I pulled together at the last minute? The difference between motivation and discipline is pretty simple; motivation is about getting myself to ‘feel like doing the work’, whereas discipline just tells me ‘I have work to do, so I must get it done.’ It is this small difference which we use as an excuse to avoid completing tasks which are not always enjoyable, but always necessary. When we tell ourselves that we need motivation to do the most menial chores, to finish that assignment we definitely do not want to finish, or write that email, what we are essentially doing is asking ourselves why we should do these things. And that is the dumbest thing I have ever done to myself, because of course there are always going to be things that I do not want to do; readings which are too long, assignments which seem too complicated to even begin, papers which feel like they are dragging on and on…but that does not mean they are not as important as the assignments which I enjoyed and felt motivated to complete. When I read motivational posts, that small spark which gets ignited (the one where we feel like we are going to fix our lives, eat healthy, sleep earlier, start our readings on time) lasts for a few hours a day if we are really lucky. This is where discipline comes in. Where motivation is what gets you started on a new project which you know you are going to have fun doing, discipline is the one which keeps you at it, tells you to keep going until you are satisfied, until you are done, instead of giving up halfway because it requires too much work. Cultivating discipline is one of the most useful habits we can have; it helps us not just in our academic lives, but outside of it as well. It is important to remember that discipline means different things to different people. What works for me does not necessarily have to work for you, but there are some basic guidelines which can help create an environment of working towards your goals, even if those goals are not something you are excited about. 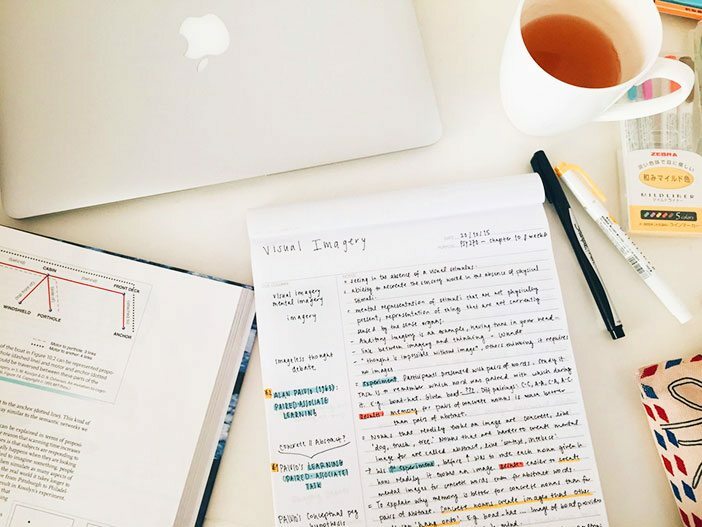 Take note of how you feel before and after: On the days when you just do not want to finish (or even start) your readings, try to do as much of them as you can anyway. 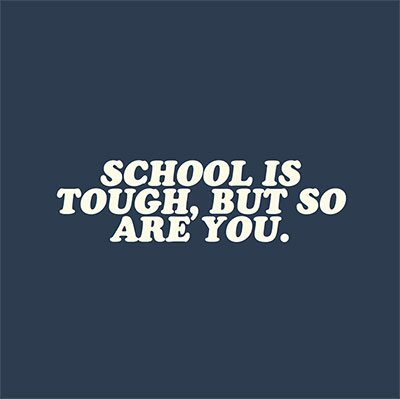 Power through it, because when you are sitting in the lecture hall and have points to make, the ease that washes over you is incomparable. Reflect on why you set alarms for a particular time: You do it because you know that waking up at that time will allow you the freedom to wake yourself up mentally and physically, plan out certain things even if they are just in your head, and start your day off just a bit more relaxed than if you had woken up at the last minute and had to rush through things. Know that once you create a habit, your body just knows what to do: With habits, there are no set rules for how long it takes them to stick; it varies from person to person. The only thing that really matters is to keep at it; even if you are bone-tired after a long day of seminars, assignments, and discussions that leave you mentally exhausted, a habit will be there to nag you to wash off your make up before sleep, to brush your teeth and hang out the next day’s clothes. Motivation gets you started, discipline keeps you going. In my first two semesters, I functioned on the ‘I will do this as soon as the motivation hits me’ drive which, to this day, is the most unreliable thing. This semester, I tried out discipline. I planned out assignments as soon as I received them, even if just in my head. I thought about what I wanted to do and how I wanted to go about it. I gave myself alone time to just sit and focus on things I needed to do, but was not particularly jazzed about. What I have realized after four months of this mental training is that it is not that hard to make myself to complete tasks which are not exciting for me; if I keep at it, not only does everything flow a lot easier and the tasks become something I enjoy, but Future Me is so grateful to Past Me for outlining a research paper or jotting down notes that I can turn into an essay without putting in a lot of effort. Discipline and dedication are the best motivators, especially when you have 15 assignments due in two weeks and have just found out that Gilmore Girls is back on Netflix! This blog was written by Shayaan Malik, Sophomore at HU’s School of Arts, Humanities & Social Sciences, majoring in Communication Studies & Design, Class of 2019.